Everyone has moments in their life listening to commercial FM radio stations. You might hear a lot of great songs and some are still memorable as of today. Then you might asked, how this song comes out to be played on the radio? Who created this one? Is this done by the song artist itself or only the recording company is involved? Step 1: The moment the artist recording label (like Universal Records, Sony BMG, etc) decided to start an album recording project (of one of their signed artist). The recording label assigns a record producer to the artist. 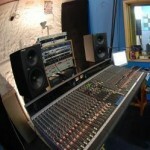 In some cases, the artist will be the one to select a record producer but this is subject to recording label approval. If you want to know the duties and responsibilities of a record producer, you can read this tutorial on what does a record producer do. Before any work will start, the label, producer and artist would come into an agreement signed by all parties. In this agreement, it will stipulate all the project deliverables, objectives, finances, royalties, etc. You can read the details on recording producer and artist guide on legal agreements. Step 2: The recording producer along with what has been agreed with the artist and recording label will finally decide on what type of sound they are planning to achieve. Some rough ideas on songs to be included on the album might be discussed in this stage (if the artist has some rough demos before). The record producer might finalize the songs list to be included in the album with inputs from the label and the artists. If the artist are writing the songs, they should finalize it at this stage. 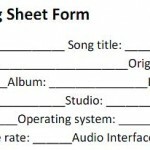 Step 3: Before the band would seriously checked-in into a big studio to record the album, the producer might want to do some pre-production to get an idea on the needed recording techniques, gears and environment for the project. Since the recording label will be the one to entirely finance the recording of the album songs; they own the copyright of the master recording (the complete product delivered by the producer). 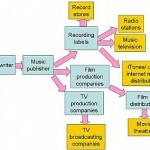 They also have the rights to sell and distribute the recordings. Step 4: The recording producer will book and finalize the project team needed. These are the engineers, name of the recording studio as well as the crew needed to complete the project. Step 5: The recording producer starts the recording session with the artist. This is the longest step particularly if the album would be complex (such as a double album) and consists of several complicated songs/tracks. 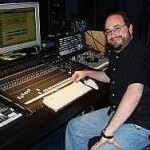 The recording producer is responsible of the song arrangement improvisation, instruments to be added to song, sound and style of the music that he thinks would fit the current trend. This is the tracking stage that is the process of recording tracks to a song. 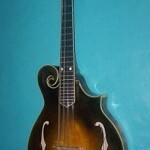 In this process, different instruments required for the song are recorded; for example, the guitars, bass and keyboards.